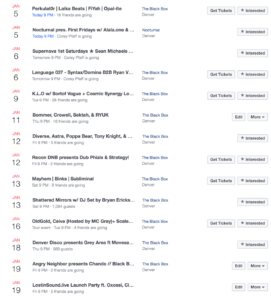 One of the biggest and newest ‘Night Life’ music venues in Denver has started 2018 off absolutely gnarly! 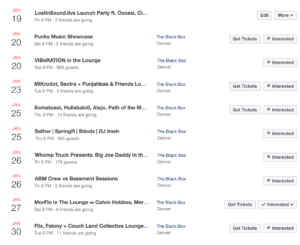 The Black Box in Denver, CO is renowned for their underground bass music like their NYE shows ending out 2017; they had Eprom and Brightside on the 30th and Goth-Trad and Truth on NYE, the 31st. A prime example of their taste in quality electronic music that hasn’t reached the mainstream crowd. 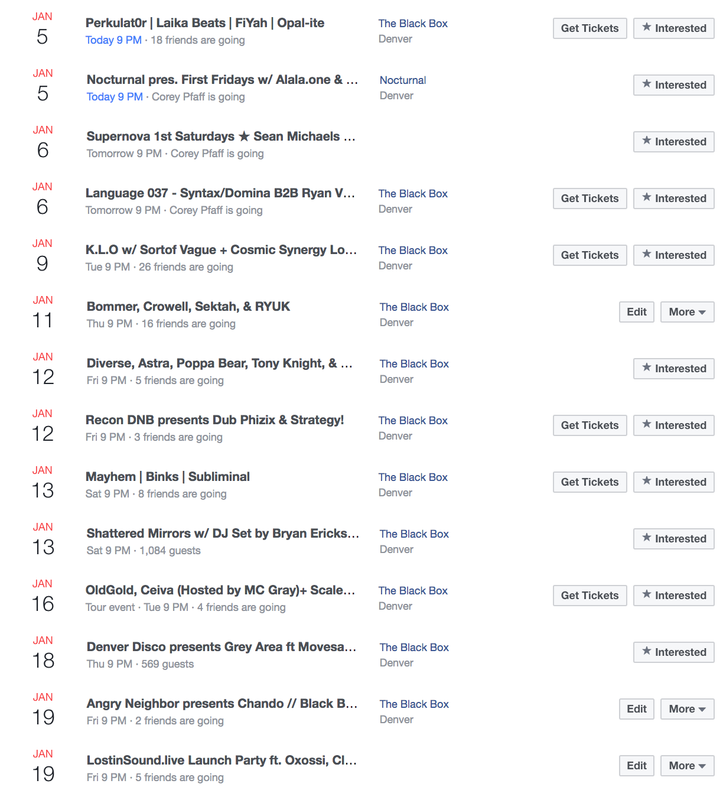 The Black Box is absolutely killing it with their selection of artist bookings and with 2017 being their first full calendar year in business, they have absolutely won the hearts of Denver’s Bassheads. Not only do they continually book top-notch artists, but they have hammered down the style of production that they want to represent the Black Box. 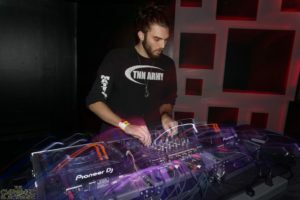 They have improved their venue space over several months with a handful upgrades to the audio and visual aspect as they run on the unique “Bass Couch System.” (Specs of Bass Couch System is posted below.) On top of that, they have added in a lounge, which attracts many and gives local production companies and artists the chance to promote their music and message. 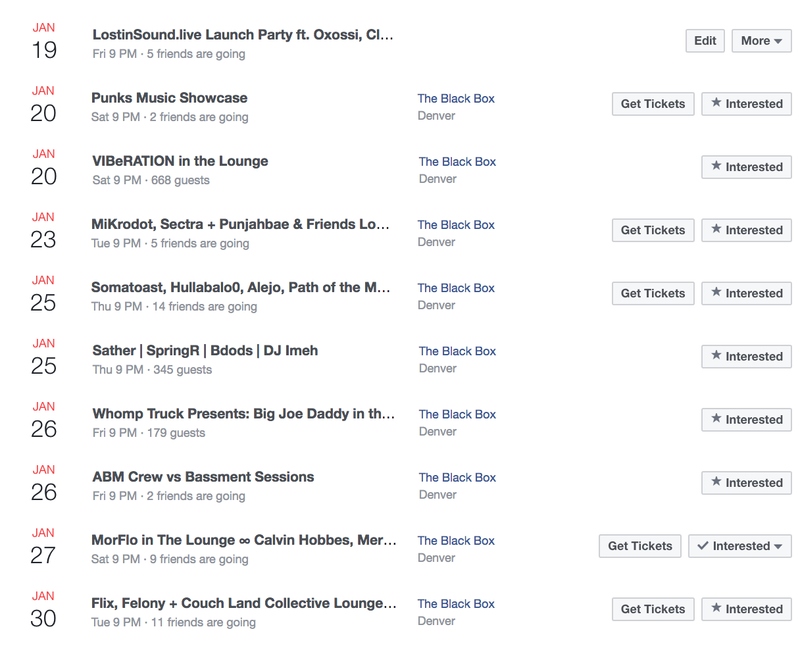 With nothing but epic sound in both rooms, The Black Box has some of the dankest sounds in Denver with quality and clear heavy bass notes that can be heard through and through. They also book some pretty massive names that keep things interesting! Check out their upcoming month of January below and just look at the talent that will be rolling through to the Black Box! This entry was posted in Articles: Reviews, Event Media, Music Reviews, News, Previews & more, Upcoming Artists. Bookmark the permalink. ← Get Your Riddim and Heavy Dubstep Face on at the Black Box 1/11/18 w/ Bommer + Crowell + many more!